Body#2: What is NRC, How it is connected with Assam Accord? असम समझौते (1985) के प्रमुख बिंदुओं की सूचि दीजिए. राष्ट्रिय नागरिक रजिस्टर के वर्तमान मुद्दे से यह कैसे जुड़ा हुआ है? 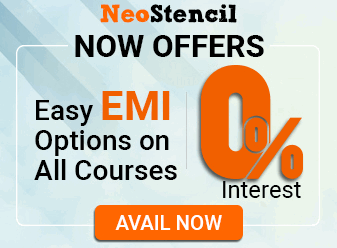 Relevance to Syllabus? Polity: Constitution subtopic ‘Citizenship’. (For 150 words) Assam Accord was signed between Government of India headed by PM Rajiv Gandhi and the leaders of Assam movement [All Assam Students’ Union-AASU] during 1985, to deal with the problem of Bangladeshi immigrants. Those living since before 1/1/1966 Will be given citizenship. if they registered and lived for 10 years, they’ll be given citizenship. Foreigners Tribunals will be established for the detection and deportation of illegal migrants in Assam. Constitutional, legislative and administrative safeguards to protect, preserve and promote the cultural, social, linguistic identity and heritage of the Assamese people. Speedy all-round economic development of Assam as to improve the standard of living of the people. National institutions for education, science & technology will be setup. After conducting the Census of 1951, National Register of Citizens (NRC) was prepared. It shows the houses in a serial order in each village, the number and names of persons staying therein. To implement Assam Accord and to detect the illegal immigrants, the NRC had to be updated to find the original inhabitants, and their descendants. 1/1/2018: First draft published by the Registrar General of India. July 2018: Second draft published. Nearly 40 lakh inhabitants of Assam were omitted in this list, leading to mass panic of deportation. Fears of rioting, vigilantism by Pressure-Groups and harassment by Government officials in mid-day meal, PDS, MNREGA etc. However, these people are given 60 days window (starting from 25th September 2018) to present their claim and objections. Government will publish the final list in December 2018. Those who’re not in the final NRC list, can file appeal in the Foreigner’s Tribunal. Only then, a proved illegal immigrant will be put in the detention centre. Whether such people will be deported to Bangladesh or established in separate colony or removed from voters list but allowed to reside in their present homes- These issues are been deliberated by Government of India and the SC. No need to remember dates for descriptive exam. 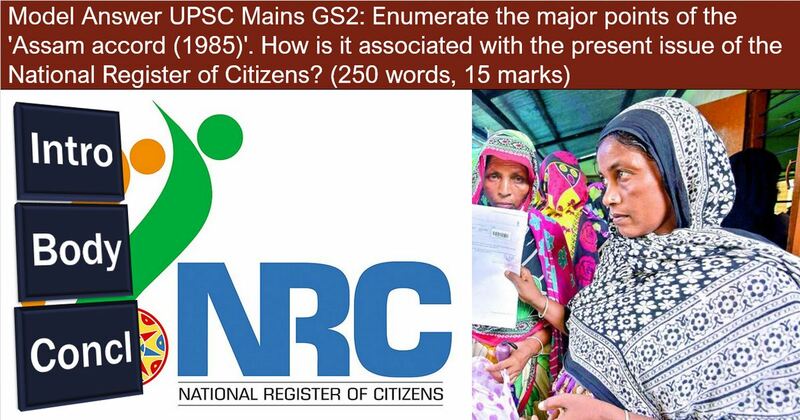 NRC is important process taken up to protect the political and economic rights of Indian citizens. It must be allowed to reach its logical conclusion without giving it a communal or political colour. +2 marks if introduction contains atleast two keywords: 1985, AASU, Rajiv Gandhi, illegal immigrants from Bangladesh. 0 if long list of suggestions given under the heading ‘Way forward’, because that’s not asked. +2 If attempted to connect how / why this issue is important for Assam’s development. Not more than 1 mark, if you’ve not elaborated on what exactly is Assam Accord and NRC, you’ve done just bolbacchan that they’re related to illegal immigrants. (1) if giving longwinded explanation of how illegal immigrants pose economic challenges and internal security of Assam. That’s not asked here. (1) if suggesting about what should be done to those 40 lakh people not mentioned in the NRC. (1) if writing that ’40 lakh people are declared illegal immigrants’. They’re not yet declared illegal, they’re given opportunity to present proofs. (1) if longwinded explanation given on the 15 types of documents accepted in NRC, and the difficulties faced by NRC staff regarding internet, electricity, training etc. OR how xyz noted MLA, sportsperson is not included in NRC list followed by three exclamation mark!!! as if writing a personal blog instead of officer-like report. (-1) If using political statements like “Rajiv Gandhi signed the accord to appease the Assamese students”, “Congress party did not start NRC updation because of Muslim Votes”. After adding / subtracting above parts, don’t give yourself less than zero and not more than eight marks. Thank You for providing a model answer POINTS /STEPS.